There can't be many Irishmen who can say their rallying careers began on a frozen lake in Scandinavia, but for Craig Breen, this is precisely where it all started. His parents got him ice driving lessons as a Christmas present, providing the then fifteen year-old with his first proper experience in a rally car. 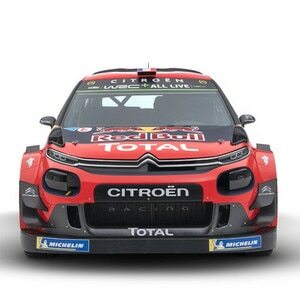 The 28 year-old then made his debut in a WRC in 2014 at Rally Sweden, before making his maiden outing for Citroën Racing in the 2016 running of the Nordic classic. All of this explains, perhaps, why Craig loves this ultimate winter rally with such passion, where prior to this year, he achieved fifth place (2017) in five appearances on the Swedish ice and snow. Taking full advantage of his good road position (ninth), he demonstrated his acrobatic skills on the first full day of rallying, claiming two stage wins and finishing the leg fourth overall, just five tenths of a second shy of the podium. Feeling very confident in his C3 WRC on these fast stages, Craig then upped his pace again the next day to move into second place, just 4.2 seconds adrift of the leader, thanks to a third stage win. However, the guys behind were in no mood to ease off and he needed broad shoulders to keep them at bay. Craig Breen and Scott Martin managed to hold their nerve on Sunday's leg to seal second place and with it, secure their best result in the WRC and a fourth podium of the C3 WRC's short career. 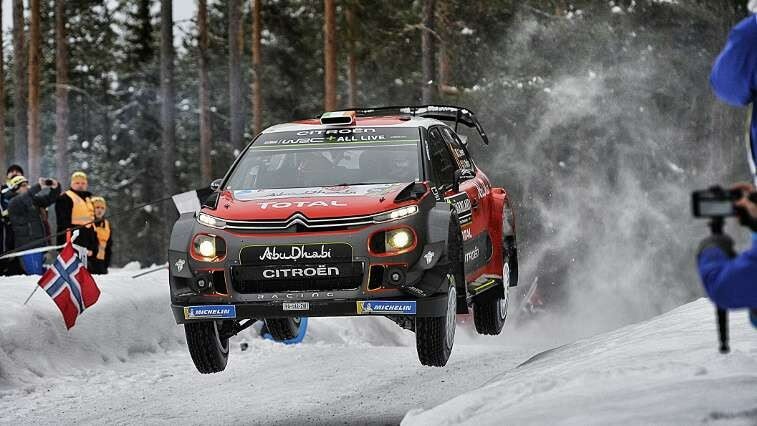 Mads Østberg – the last Citroën driver to claim a podium in Sweden (2014) – also had his sights set on a top-three finish in the early stages of the rally as he ended Friday's leg just 1.1 seconds behind third place, showing that he was getting to grips quickly with the C3 WRC on his return with the Red Army. Still learning about his new machine, he then managed his pace to secure sixth place, scoring important points for the team in the manufacturers' championship. Kris Meeke's target for the weekend was equally to add a few points to his drivers' championship tally. After having acted as a snowplough on day one (fourth in the running order) thanks to his performance in Monte Carlo, he found himself way off the fight at the front. However, the Ulsterman was out of luck again. 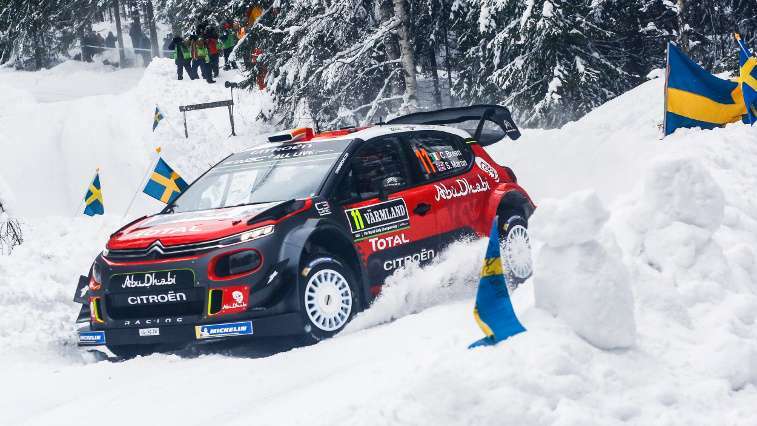 A seemingly innocuous impact with a snow bank ended up damaging his C3 WRC's turbo, forcing him to retire, a stiff penalty for such a minor mistake. Were you expecting Craig to be on such good form at this event? What did you think of the performances of Kris and Mads? Going into the final leg only 9.3 seconds clear of the third-placed driver, Craig Breen sealed his runner-up spot on Likenas (21.19km), gaining one second on his rival on the first pass and then 3.1 seconds on the second run, meaning he began the final stage (9.56km) with a 13.4 second lead. Scott Martin witnessed it all first-hand: "Sunday's opening stage was really decisive. We knew that Likenas was going to suit us. Craig absolutely loves the stage and we really enjoyed it in 2017, and the road conditions were perfect. Half of the distance covered is extremely fast and throughout the weekend, this was precisely the kind of stage where we were most comfortable. We knew that if we kept it clean and tidy, we would set a good time. In the car, we didn't go for a massive push but Craig immediately set a good pace and maintained it right to the end. He was both really focused and relaxed. The first pass confirmed that we had the pace to hold off Mikkelsen."